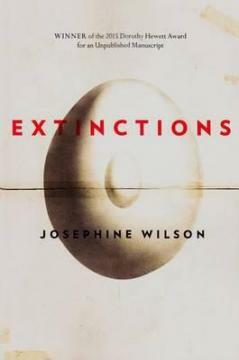 Australia’s most prestigious literary award has been bestowed on Josephine Wilson for Extinctions, published by UWA Publishing. In a year when the Miles Franklin Literary Award celebrates its 60th anniversary, it is fitting the 2017 winning novel should address the themes of ageing and survival. Established through the will of My Brilliant Career author Miles Franklin for the “advancement, improvement and betterment of Australian literature”, the Miles Franklin Literary Award recognises the novel of “the highest literary merit” which presents “Australian life in any of its phases”. First given in 1957, the Award has been embraced by the national literary community and over the past 60 years has awarded more than $1.1 million to Australian authors. Ms Wilson will receive $60,000 in prize money for her novel, which the judging panel described as “compassionate and unapologetically intelligent”. “In Extinctions, Josephine Wilson explores ageing, adoption, grief and remorse, empathy and self-centredness,” said chair of the judging panel and State Library of NSW Mitchell Librarian Richard Neville. Mr Neville was joined on the judging panel by The Australian journalist and columnist, Murray Waldren, Sydney bookseller Lindy Jones, book critic Dr Melinda Harvey and Emeritus Professor Susan Sheridan. Wilson’s Extinctions was selected from a shortlist of five first-time nominees, which also included Emily Maguire, Mark O’Flynn, Ryan O’Neill and Philip Salom. She becomes the fifth Western Australian writer to take out the top prize, joining the likes of Randolph Stow, Elizabeth Jolley, Kim Scott (two-time winner) and Tim Winton (four-time winner). Perpetual’s National Manager of Philanthropy, Caitriona Fay, said: “Perpetual has a long and proud history of helping philanthropists affect real change – change that can last for generations. Adam Suckling, Chief Executive of The Copyright Agency, the Award’s major sponsor/partner, said: “We are absolutely focused on supporting Australian writers and publishers and so we are delighted that Josephine’s great novel has won the Miles Franklin. Congratulations Josephine! 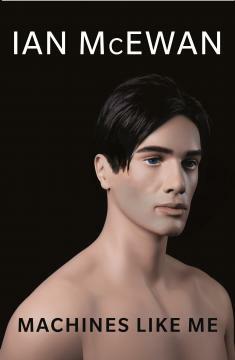 I also want to congratulate the other finalists – it is truly impressive to be a finalist for this prestigious award”. The award was announced at a ceremony at the State Library of New South Wales (SLNSW), a place of special significance to the Miles Franklin story. During her lifetime, Miles spent many hours writing and researching her books at the Mitchell Library (part of the SLNSW). Her papers are also housed here. Perpetual is Trustee for the Miles Franklin Literary Award. The Award was established in 1954 by the estate of My Brilliant Career author Stella Maria Sarah Miles Franklin to celebrate the Australian character and creativity. 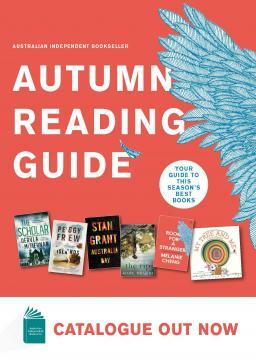 It supports the betterment of Australian literature by each year recognising the novel of the highest literary merit which presents Australian Life in any of its phases. Perpetual is one of Australia’s largest managers and distributors of philanthropic funds with $2.6 billion in funds under advice (as at 30 June 2017). Perpetual is trustee for approximately 1000 charitable trusts and endowments and provides individuals and families with advice on establishing charitable foundations and structured giving programs. Perpetual also assists charities and not-for-profit organisations with investment advice and management. Perpetual’s Philanthropic Services and advice are provided by Perpetual Trustee Company Limited (PTCo), ABN 42 000 001 007, AFSL 236643. This publication has been prepared by PTCo and contains information contributed by third parties. It contains general information only and is not intended to provide advice or take into account personal objectives, financial situation or needs. The information is believed to be accurate at the time of compilation and is provided by PTCo in good faith. To the extent permitted by law, no liability is accepted for any loss or damage as a result of any reliance on this information. PTCo does not warrant the accuracy or completeness of any information included in this document which was contributed by a third party. Copyright Agency’s Cultural Fund has been a proud supporter of the Miles Franklin Award since 2004, granting more than half a million dollars to this premier Australian literary prize. The Copyright Agency provides simple ways for people to reproduce, store and share words, images and other creative content, in return for fair payment to creators. We are committed to encouraging the development of lively and diverse markets for published works with our range of commercial licences and through our Cultural Fund. The Cultural Fund is the philanthropic arm of the Copyright Agency, contributing meaningfully to a wide range of Australian cultural, educational and artistic programs and creators. Through its support it fosters greater understanding and engagement of national culture both locally and internationally. In Extinctions, a compassionate and unapologetically intelligent novel, Josephine Wilson explores ageing, adoption, grief and remorse, empathy and self-centredness. Fred Lothian is a man in denial: a brilliant engineer, now retired and widowed. He knows that ‘for an engineer there was a bridge for every situation’; but solutions for the complexity of human problems elude him. So he looks away from his son’s tragic injury, his adopted Aboriginal daughter’s cultural loss: his only intimacy is with his collection of high design modernist objects. Only the intervention of his spirited next-door neighbour at his retirement village, Jan Venturi, forces him out of his carapace of self-absorption long enough to bring both comedy and recognition into his life, and some degree of redemption. Extinctions is set in Perth, a city of both recent settlement and ageless history, now disrupted; all the characters of Extinctions are negotiating geographical or familial disruption. Memory and love emerge as the countervailing forces to Fred’s blind egotism. The novel is also a meditation on survival: on what people carry, on how they cope, and on why they might, after so much putting their head in the sand, come to the decision to engage, and even change.